The goal is to ship quickly and affordably. We've listed everything you need to know about our shipping services and general information. Primoprint ships exclusively with UPS which provides shipping from our facilities across the US and Canada as well as internationally. Shipping rates are based on package dimension and weight and are determined in real time directly from UPS on our website. You can receive shipping estimates on the product page by selecting a quantity and entering a shipping address without an account or adding the item to your cart. At this time, we offer group shipping on multiple sets of some products that have the same specifications and quantities. All other products are shipped as they complete. Unfortunately, due to the weight and dimensions of various products we are unable to group ship different products and quantities. 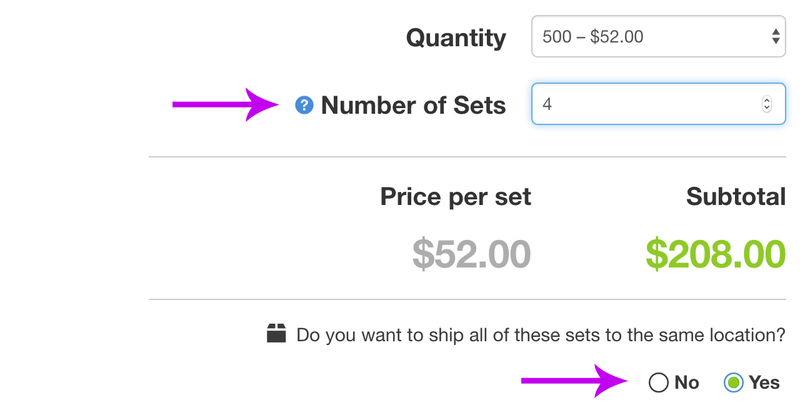 To take advantage of group shipping, you will want to select multiple "sets" of the same product on the product page. If group shipping is available, you will be asked if you would like to ship all of the sets to the same location. All packages are shipped in unmarked boxes without invoices or packing slips. The only reference to Primoprint is the mandatory return address on the shipping label. You can replace the return address with your business or another name and address by selecting "Blind Ship" to completely hide the source of the product. UPS in unable to deliver to a P.O. Box, therefore you must provide a valid residential or business address for delivery. At this time Primoprint does not provide an option to apply shipping charges to your account or to use a carrier other than UPS. At this time Primoprint does not offer local pick up service from our manufacturing facilities. All products are shipped via UPS. Our website is equipped with UPS Address Verification system that checks all addresses for accuracy. Please make sure that the address is spelled, abbreviated and submitted with the correct suite, unit, street number, and zip code. Any packages returned or re-routed if the incorrect address is provided are subject to reshipment fees. All international customers are responsible for paying the customs fees (i.e., taxes, duties, etc.) to UPS upon receiving the order.